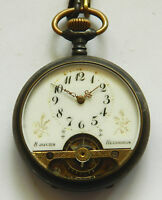 .VERY NICE / VINTAGE HEBDOMAS STYLE 8 DAYS POCKET WATCH, GREAT DIAL, WORKING. americadelsurwatches has no other items for sale. There are 584 items available. Please enter a number less than or equal to 584.